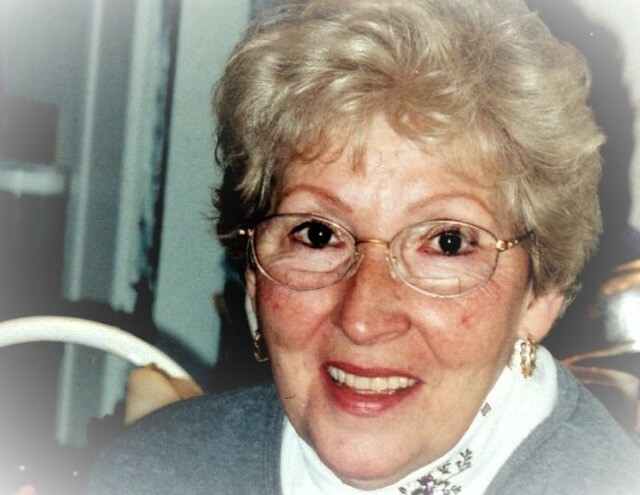 Mary Lou Kathleen O’Neill (nee Campbell), 85, of Livonia, Michigan, passed away on November 18, 2018. Mary Lou was born in Detroit, Michigan on December 5, 1932 to Chester and Amy Campbell.She graduated from Cooley High School in 1951 and attended Hillsdale College from 1951 to 1952.Mary Lou was married to Dennis O’Neill on October 29, 1955 and were married for 42 years. Mary Lou worked for a time at Detroit Edison before becoming a full-time homemaker.Later in life she worked at H&R Block until she retired in 2002.She enjoyed her grandchildren, sewing, crocheting, reading, gardening and a sorority. Mary Lou is survived by her brother Donald Campbell (Patricia) and children Sean, Kathleen (John Thierry), Daniel (Cheryl), Molly (Jerry Schmidt), and Thomas (Leticia). Her greatest joy were her many grandchildren:Mark Thierry (Pam), Michelle Fitzpatrick (Steve), Aidan Thierry, Meara Thierry, Liam Thierry, John McCoy (Jasmine), Ashley O’Neill, Rachel O’Neill, Daniel O’Neill, Jacob Schmidt (Olivia), Cody Schmidt (Kate), Sandra Schmidt, Jordan Isaac (Maggie), Siria Cano, Sofia O’Neill, Victoria O’Neill and Thomas O’Neill. Great Grandchildren included Tyler Thierry, Kyle Thierry, Cameron Thierry, Shea Fitzpatrick, Charlotte Schmidt, and William Schmidt. Mary Lou is preceded in death by her parents Chester and Amy Campbell, sister Patricia Watter, and brother Michael Campbell. She was surrounded by her family in her last days including her brother, Donald Campbell and niece, Tina Irwin who travelled from California to be with her and her son, Thomas, who arrived just in time from Colorado. Mary Lou will be remembered by all who knew her by her love of music, song, dance and fun. The room was always filled with light when she entered and the stars are brighter with her passing. The welcome she is receiving will be one of great joy and there are no words that describe the void she has left behind. The stories and memories of Mary Lou will love on for many years in our hearts and gatherings until we meet again. Funeral mass was held at Our Lady of Loretto, November 19, 2018, at 11:00 a.m., located at 17116 Olympia, Redford, MI 48240. Memorial donations in memory of Mary Lou O’Neill may be made to the Michigan Humane Society.